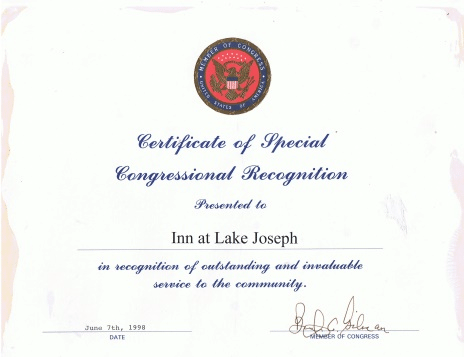 Thirty-five years ago we created the Inn At Lake Joseph as our romantic getaway from New York City. Why not let this fun-loving escape be your playground? 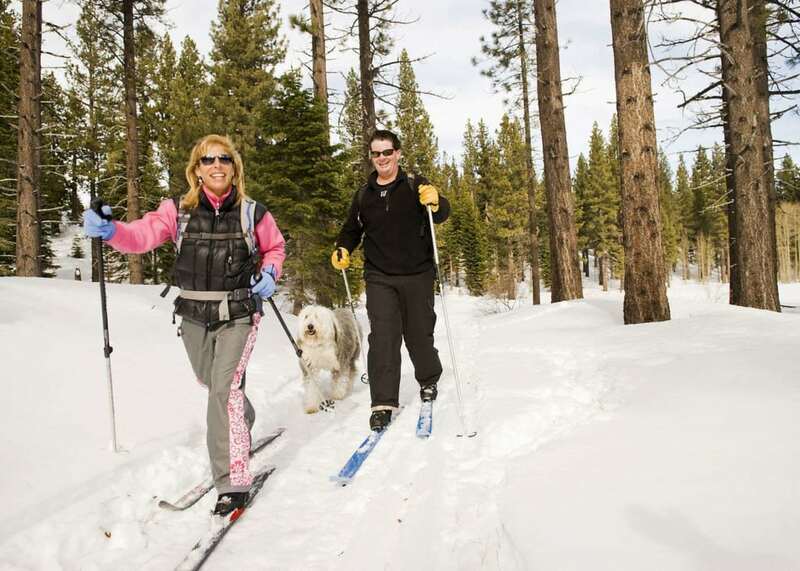 Like resort lodging, the Inn will provide you with a variety of summer and winter recreational facilities, including our nearby full-service health and fitness spa. But unlike larger Catskill and Pocono resorts, our boutique Inn with just 17 guestrooms is where you will experience our informal, casual, upscale bed and breakfast-style country retreat that will assure you a relaxing, romantic, secluded getaway in a rustic, luxurious mountain lake environment. Oh Yes! Your pet is welcome. Many of our guestrooms are indeed pet-friendly. WHY SHOULD YOU CHOOSE US? GLAD YOU ASKED! Just 2 Hours from N.Y.C. 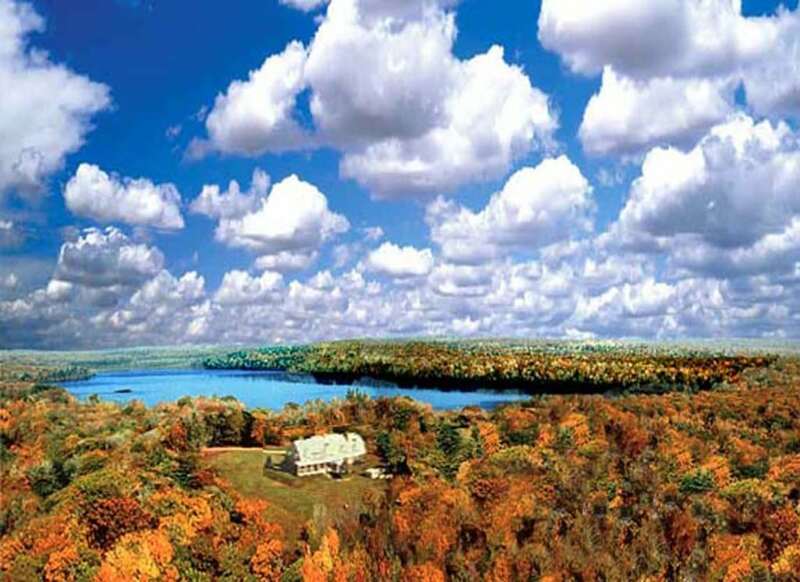 Very much like the Berkshires, Adirondacks, and Poconos, the Catskill Mountains surrounding the Inn will offer you breathtaking views and idyllic natural scenery. 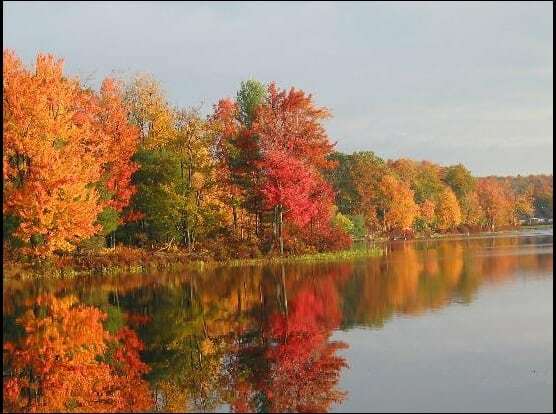 However, unlike these other regions, the Inn and the Catskills are no more than 2 hours from New York City. 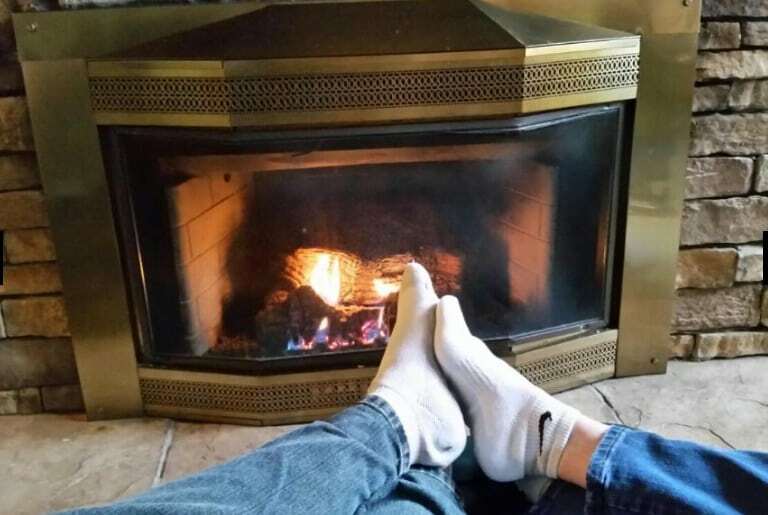 Inn at Lake Joseph is the ideal location for your romantic Upstate New York Catskill and nearby Pocono getaway with your in room whirlpool jetted tub, fireplace, sundeck with breathtaking view and barbeque, enchanting outdoor firepit, and much more! 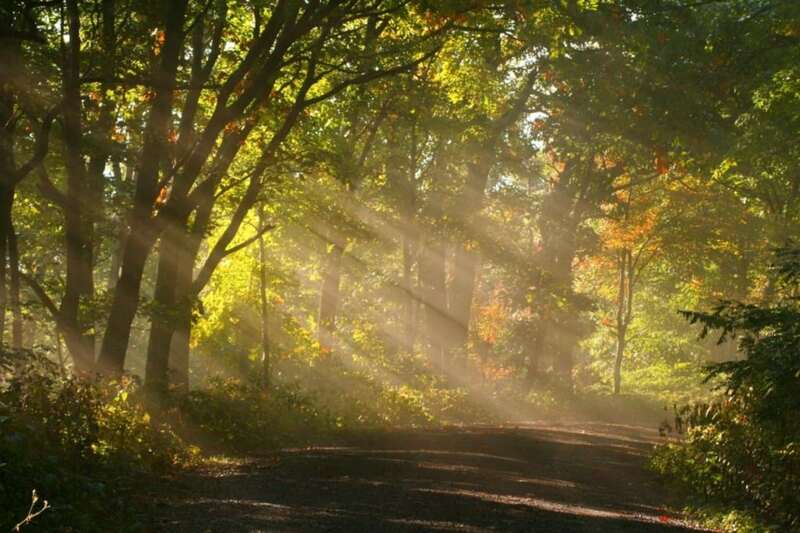 Whether you’re driving to see nature’s blazing fireworks in the fall or the bright, fresh hues of spring, there’s nothing like the magnificent scenic drive on the way to the Inn. 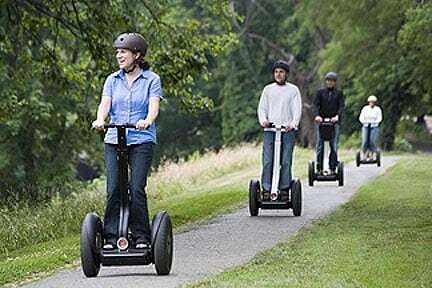 Pass by charming towns, sprawling farms, and look out over the expansive awe-inspiring vistas of the Catskill Mountains as you near the Inn. Scroll down this page and explore our rooms that fit your dream accommodation. With these unique accommodations throughout our property, you will find one that suits you best. 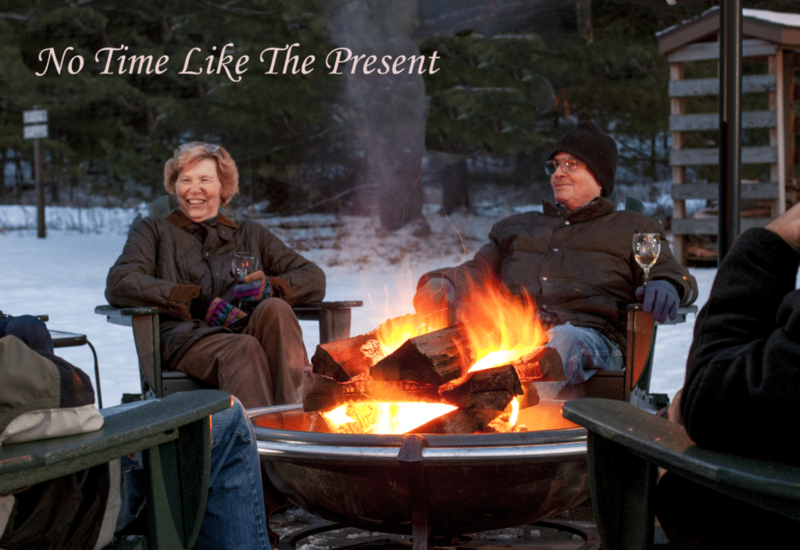 You will then see one reason why for almost 40 years, guests have considered the inn one of their favorite Catskill Mountain Upstate New York getaways. 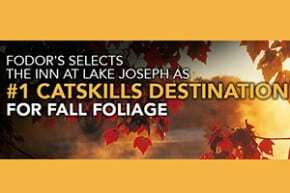 The Inn at Lake Joseph’s desirable lakeside location encourages guests to take advantage of the wonderful activities at the property, as well as to explore the variety of things to do in the Catskill, Shawangunk or Pocono regions. Our in-room spa offerings bring tranquility directly to your room. How’s that for hassle-free, no-commute, on-call Zen? 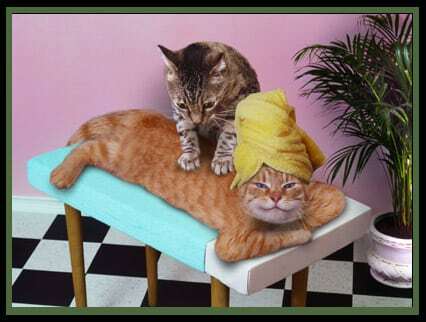 Whenever you’re feeling the urge to get a bit pampered, simply reserve hands-on services like massages, body treatments, that take place in the privacy of your own room. 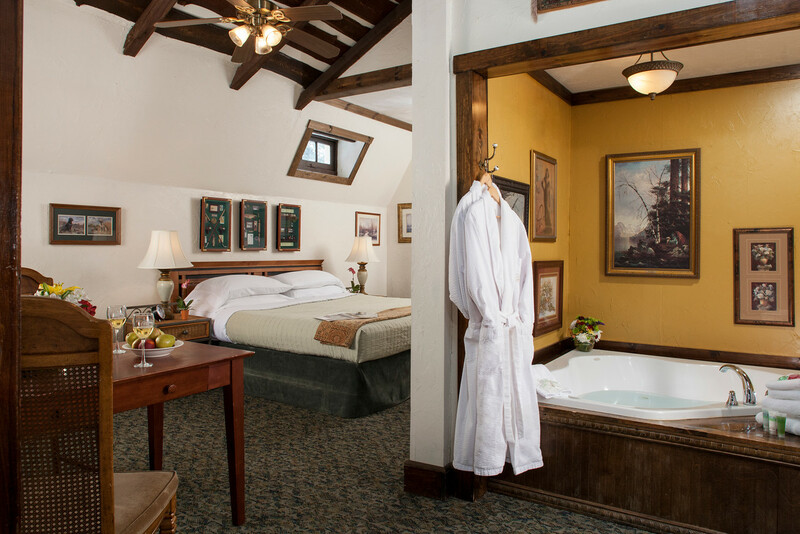 We invite you to explore the available rooms and suites at the Inn at Lake Joseph. 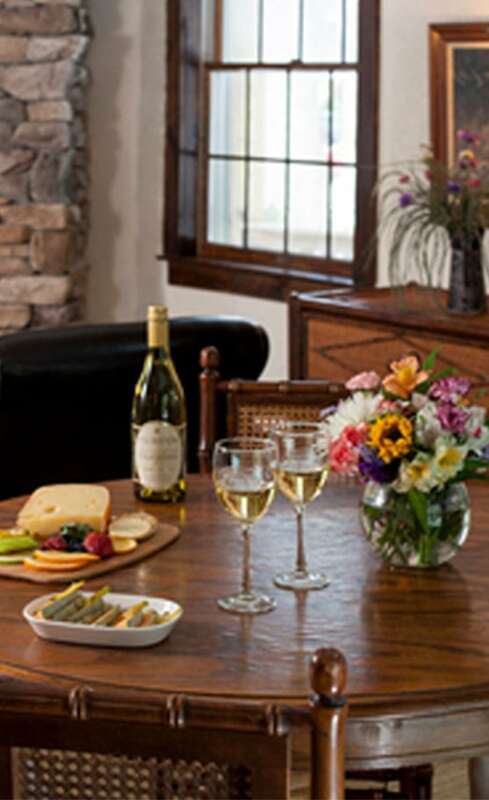 With unique accommodations throughout our property, you’re sure to find one that suits you best and see why our guests consider us one of their favorite Pocono and Catskill Mountain Upstate New York resorts. For pet-friendly accommodations, please scroll down to our Carriage House and Cottage room listings. 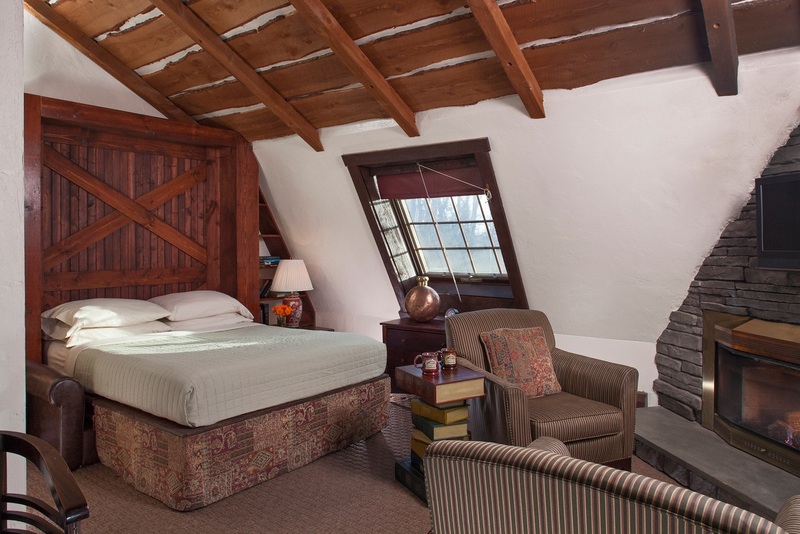 Our Carriage House and Cottage rooms have a rustic décor and their own private entrances, while our Lodge rooms reflect a casual English Country feel. 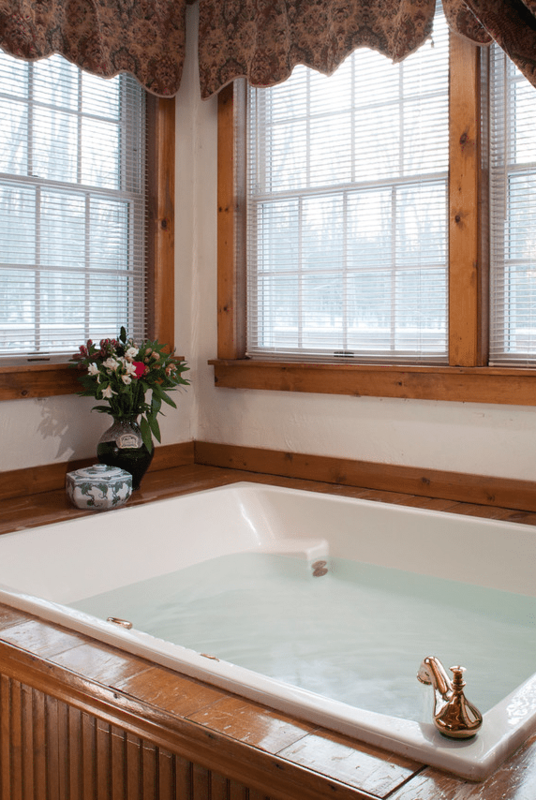 All rooms at our Catskills inn have fireplaces, whirlpool baths, and most have private sun decks. 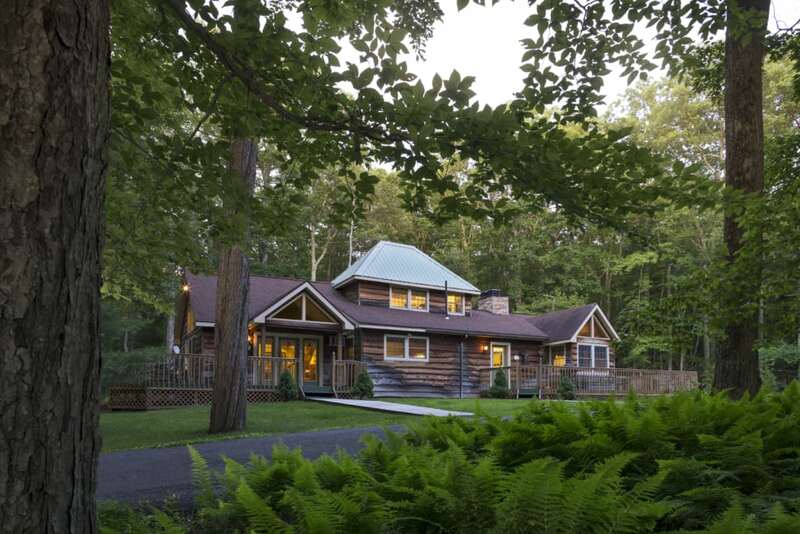 Our Bronze level rooms are our most affordable units, without sacrificing the amazing comforts and amenities our guests expect when staying at this bed and breakfast in the Catskills. These traditionally decorated, large Silver level rooms, reminiscent of the “Dirty Dancing” Catskills hotel era, have King-sized Sleep Number beds, wall fireplaces, and large two-person whirlpool baths. 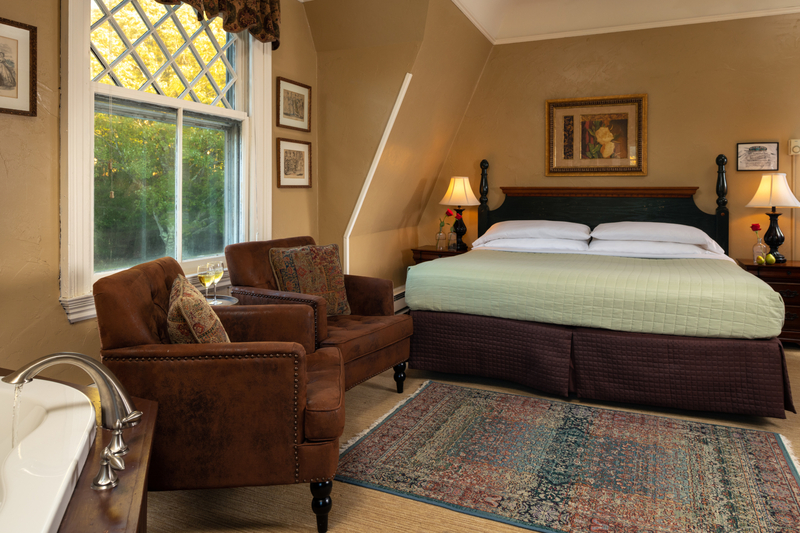 The Inn at Lake Joseph’s Gold level rooms offer extra amenities for a quality stay at our Catskills bed and breakfast. You can stop looking at other Upstate New York hotels! 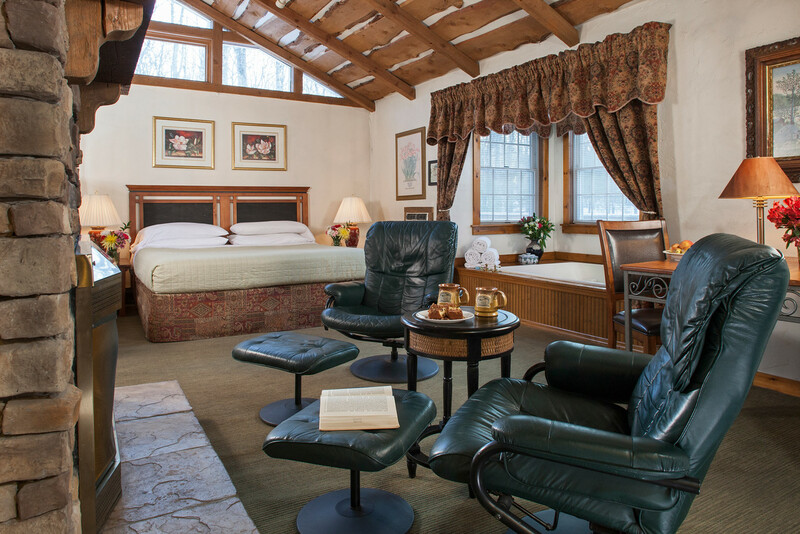 Our Platinum rooms are destinations in and of themselves and make for a complete home base for your Catskills vacation. 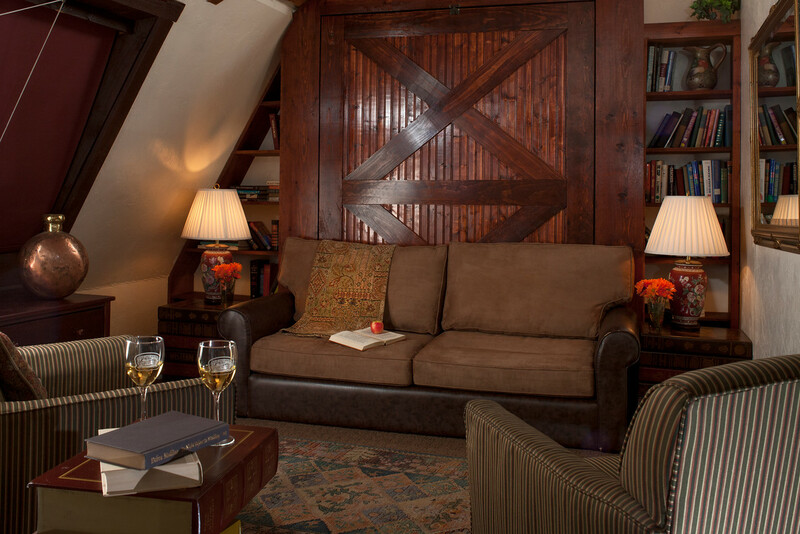 The Redwood is the most affordable of the rustic luxury pet-friendly Signature suites at our Catskill hotel. A private entrance opens into the living room that features a stone fireplace. 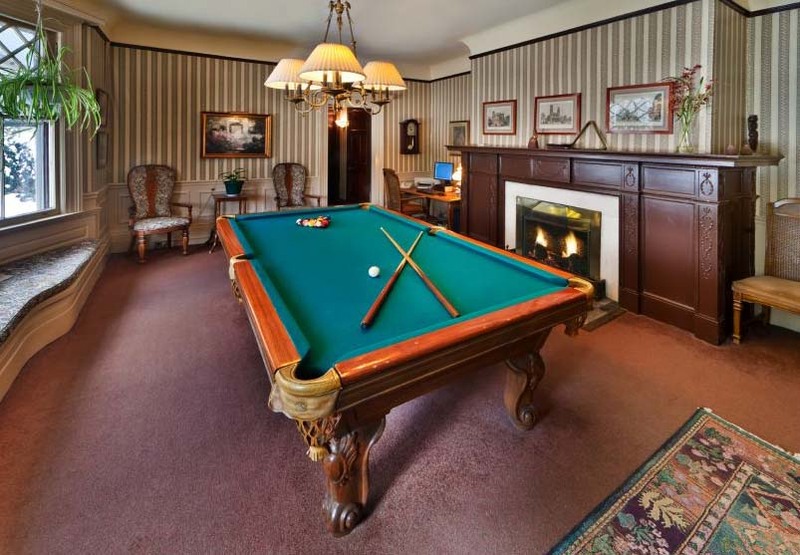 Eagle’s Nest is a standout accommodation among resorts in Upstate New York. Ideal for getaways where you want a little more space, this suite includes a private sundeck and outdoor barbecue grill overlooking our peaceful country vacation spot. The Loft is our most luxurious accommodation and is truly a destination in and of itself. 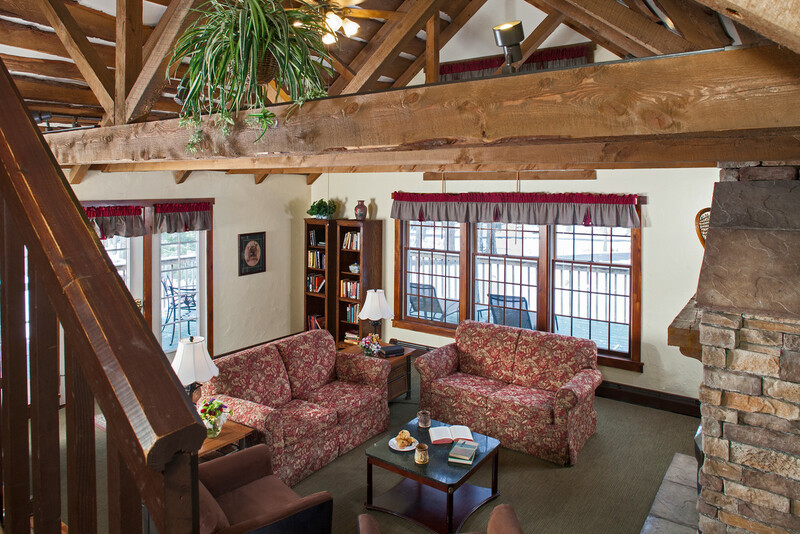 This three-room suite in our Catskill inn consists of a living room with a privately furnished sundeck, working fireplace, fully-equipped kitchenette and an outdoor barbeque grill. 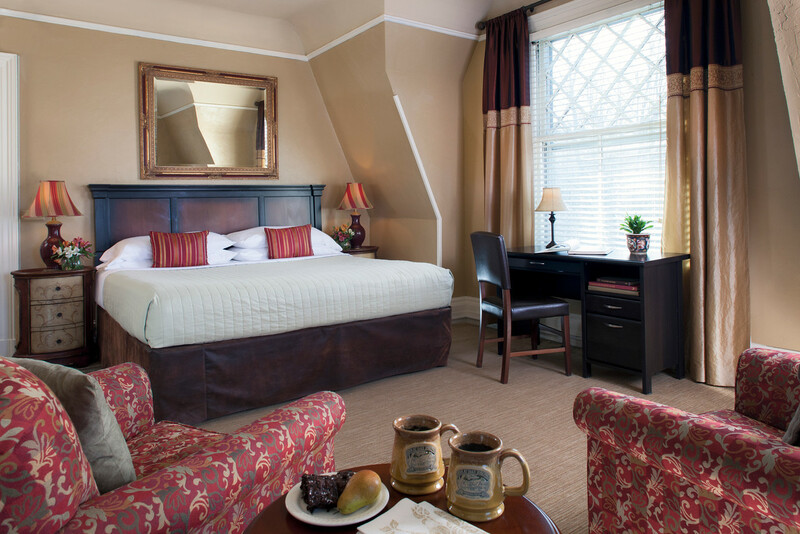 Our Four-Bedroom Cottage is the perfect choice for a luxurious stay at our bed and breakfast in Upstate New York! This spacious, completely private accommodation includes a large lofted ceiling living room with stone fireplace, full-kitchen, dining area, and outdoor barbeque grill on a private furnished sundeck. 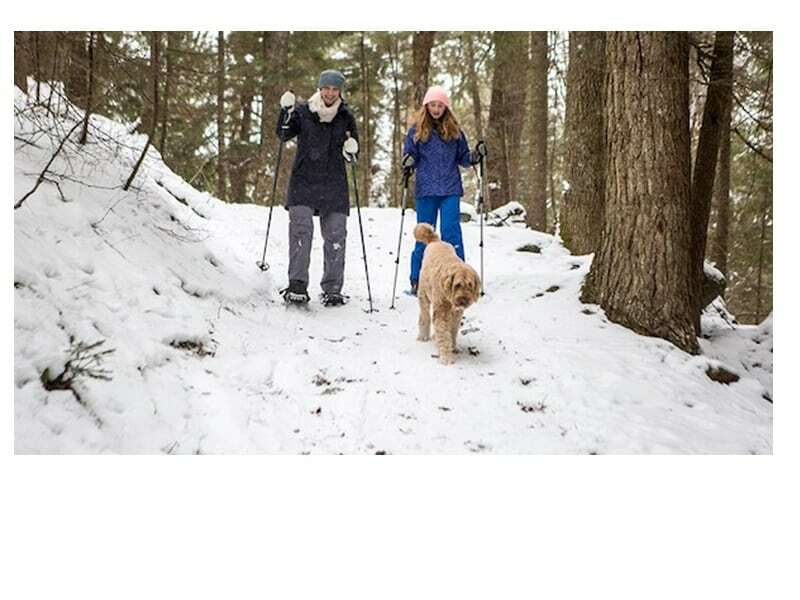 Our on-site activities include miles of hiking trails in the surrounding 2000 acre forest preserve, pool and lake swimming, fishing, kayaking, boating, tennis, cross-country skiing, and snow-shoeing. 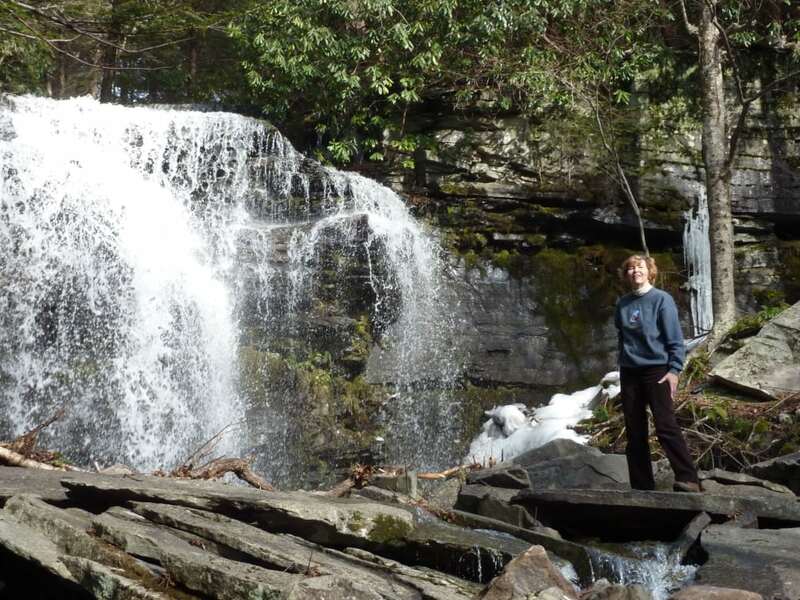 Additional nearby hiking affords spectacular scenes of rivers, and views of the majestic peaks and isolated waterfalls that abound. 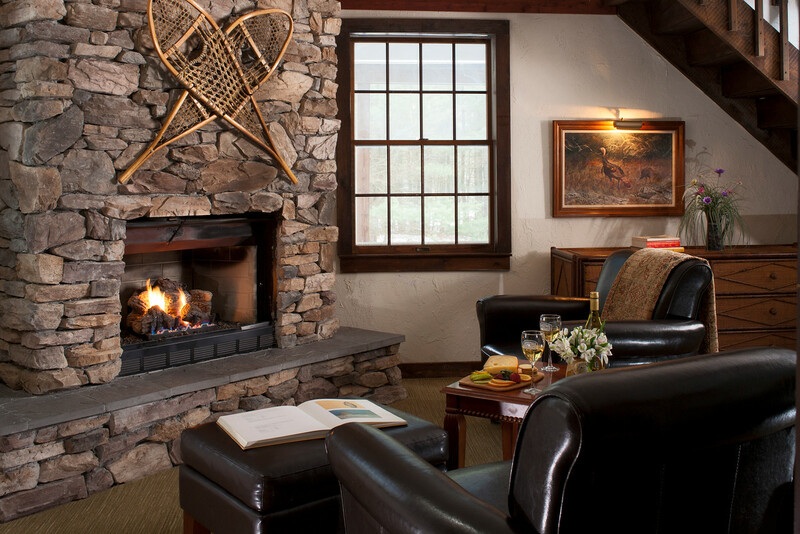 Located in Sullivan County and in close proximity to Orange County as well as Connecticut, Massachusetts, New Jersey, and Pennsylvania, the Inn at Lake Joseph features the best the Catskills have to offer. 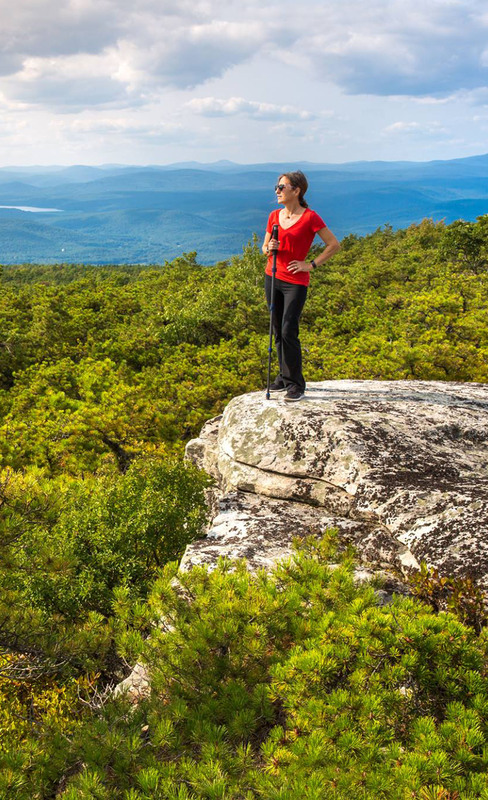 Very much like the Berkshires, Adirondacks, and Poconos, the Catskill Mountains surrounding the Inn offer breathtaking views and idyllic natural scenery. 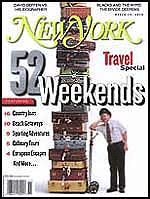 However, unlike these other regions, the Inn and the Catskills are no more than 2 hours from New York City. The Inn has received various awards and has been praised in travel articles and publications, as well as by guests themselves on Trip Advisor. We visited the Inn in July and were very pleased. The room was large and nicely decorated. The grounds were beautiful and the staff warm and helpful. They include breakfast but so much more. There is a fully stocked ‘pantry’ area where you can find something to eat and drink all day. My only regret was that we did not have enough time to enjoy everything they offer. When we are in the area again, we would definitely stay there. This was our 2nd time staying here in as many years and I can’t say enough about the property or the staff. The room was clean and extremely comfortable. The pool is spotless and the activities, row boats, kayaks, bicycles all just waiting to be used. If you like to fish but can’t bring a rod with you, do as I did and go to Walmart and buy a cheap rig because the lake is loaded with bass that can’t wait to jump on your lure (watermelon seed finesse worm with a 1/0 worm hook). The breakfast served every morning is as good as you’ll find in any Monticello restaurant and you can enjoy the company of your fellow guests. Make sure you visit the Forestburgh Playhouse less 10 minutes away for an incredible production of a Broadway show that is so good you’ll think you’re in Manhattan. This is a jewel of a place with comfortable rooms, nice people and excellent breakfasts. They even have a 24/7 open pantry for snacks, drinks and cold cuts. 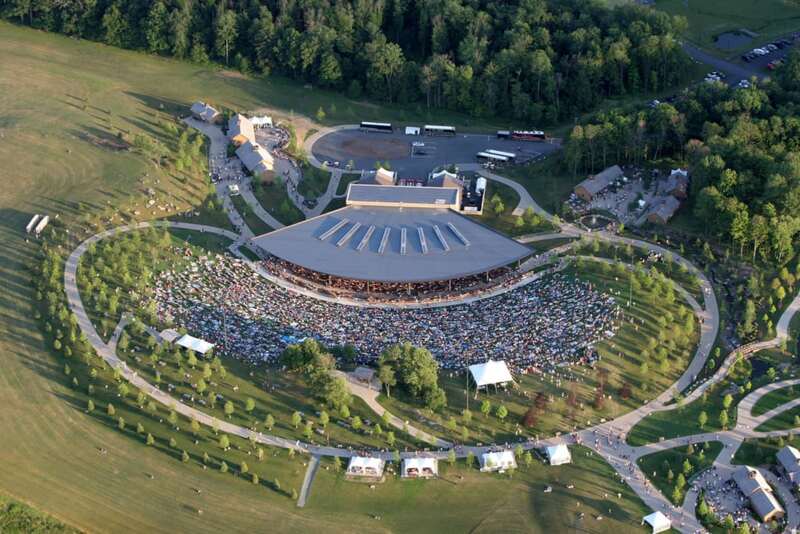 The grounds are beautiful and available activities are many. Easy walk to a pristine lake. 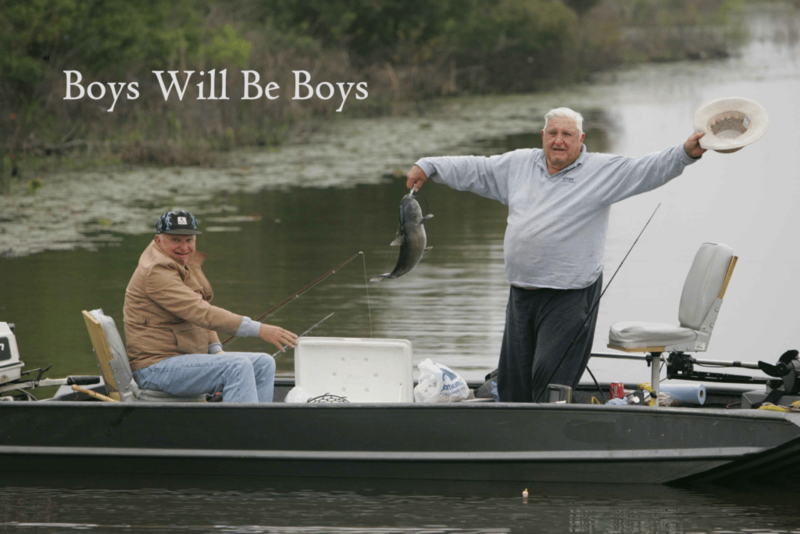 Bring your fishing rod. Ivan, the owner, tells good stories, so be sure to meet him. Loved it. Nice place, wish we had more time! Breakfast was fantastic, was even upgraded to a better room to fit our needs. They even catered to our vegetarian needs. Was able to cook my wife a beautiful dinner, had a great set up and dishes, pots and pans. Asked for chocolates and flowers to be there when we arrived! And they had it set up!! Great service! We needed the break from our reality! Thank You! 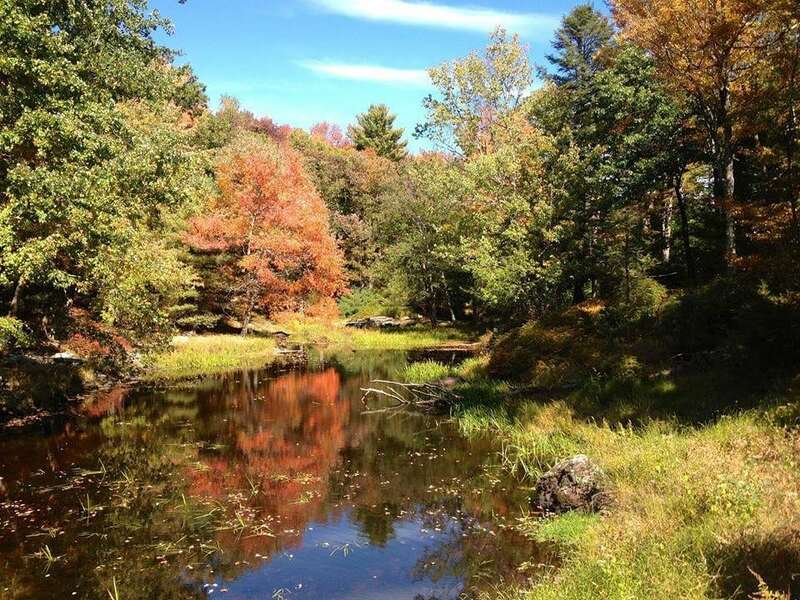 Looking for a quite, charming getaway in the Catskills? 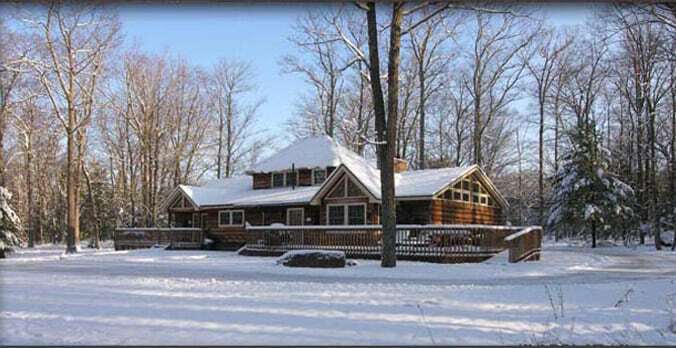 Here ya go…..The Inn at Lake Joseph. Matt is the main host and he is attentive to all. We just went up for 2 nights for a little leaf-peeping and R&R and we got it!!! Secluded, calm and beautifully laid out property. THE BEST breakfast!! Old World Rustic! Enjoy! We had such a good time at the Inn, there is so much to do everyone was so friendly and helpful. The Inn is a well keep mansion with beautiful grounds and pool, the lake is excellent for fishing. We will be going back. My husband and I spent a relaxing weekend here to celebrate our 30th anniversary. The Inn at Lake Joseph exceeded every expectation!! The room was spectacular. Although a bit cold in April we took out the kayaks on the beautiful lake. We also enjoyed a hike in their well marked trails. I would love to return with my family for a getaway. My husband and I loved our stay at Lake Joseph. Every staff member was so accommodating and pleasant. The food is plentiful and good. 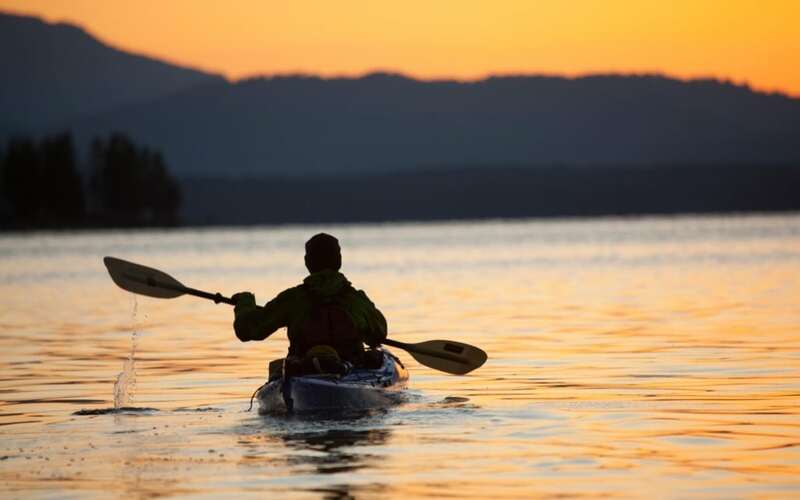 There are trails to hike and a lovely lake to kayak. We got to feed a deer in the rear yard of the Inn. It was magical. 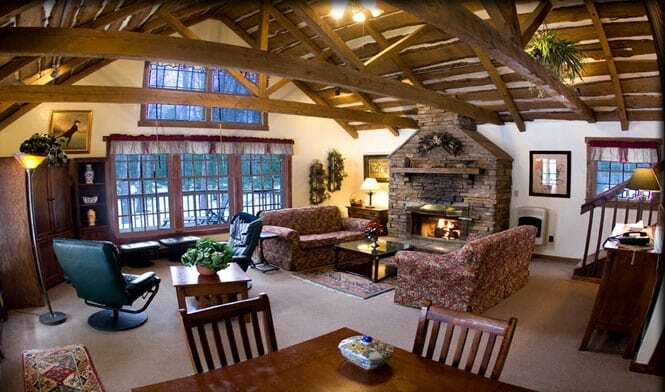 The room was great, the staff friendly,and the location, the trails, the lake. the boats, the pool, pool table, games so much to do, did not get to do it all in 3 days. It was just the relaxed weekend I needed. Thanks to everyone at the inn, great time. Ivan and his family have thought of everything. 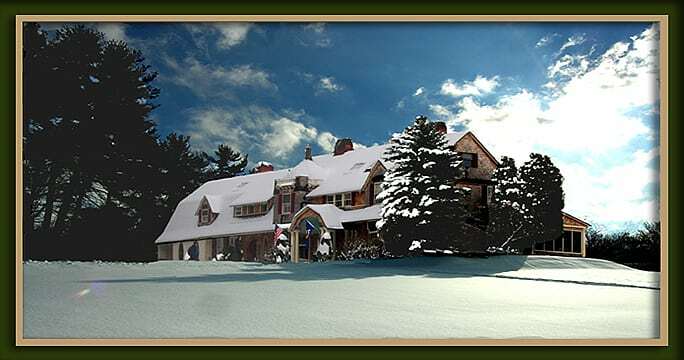 My husband and I just returned from The Inn at Lake Joseph in the Catskills Mountains. Just wonderful. Rustic, and beautiful. Delicious breakfast daily (made to order), gorgeous property, from bike lane safe, hiking trail, hammocks, fire pit, beautiful lake for lounging, canoeing, boating. So quiet, relaxing and totally ideal for letting go. Went to visit old stomping grounds from sixty years ago…unfortunately, not there anymore. Did visit Woodstock Museum in Bethel, which is a must. So wonderful to step back in time. All in all, wonderful getaway. 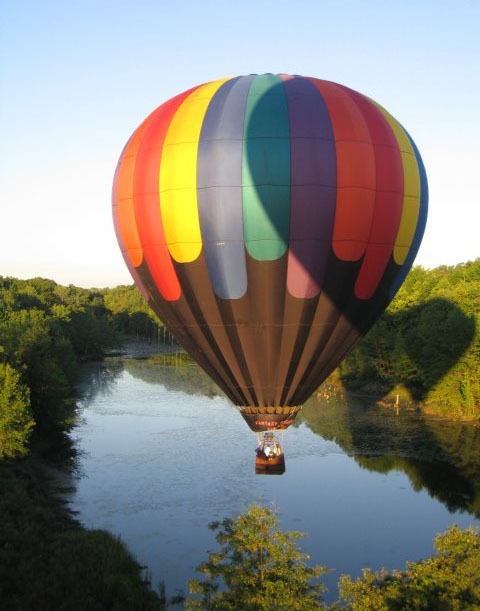 The Inn at Lake Joseph is located in a secluded but vibrant rural area. 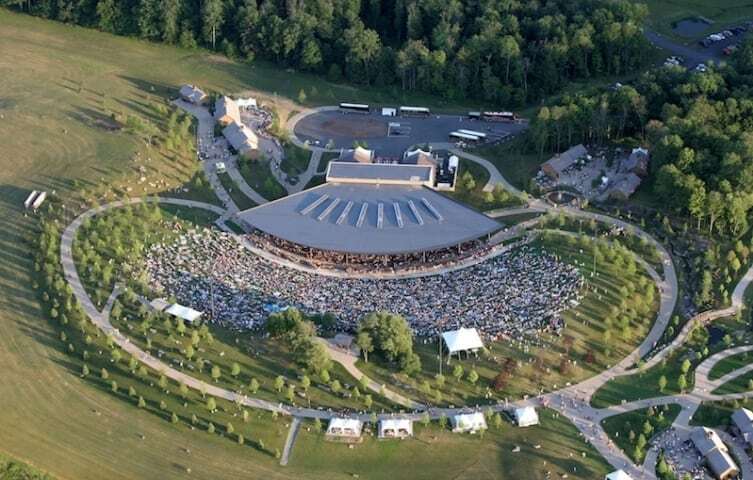 Our location is near four New York/Pennsylvania counties that host community events or sponsor events in the region, which you can easily reach when you stay with us. 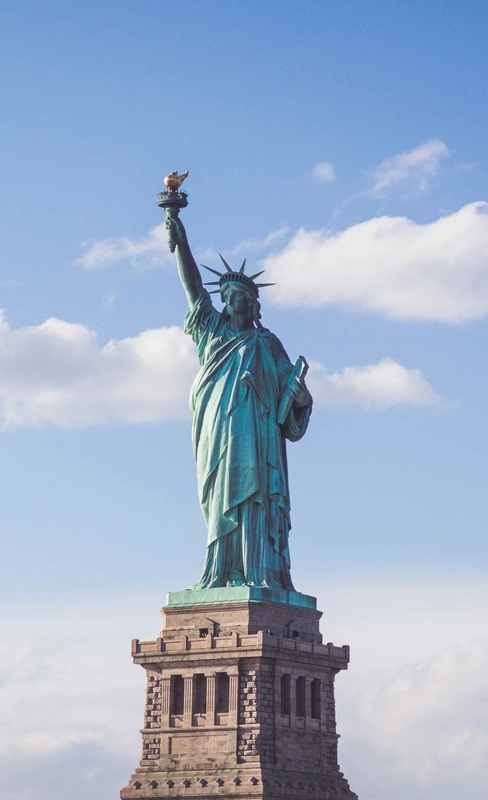 Click the link below to be taken to Sullivan County’s tourism calendar to learn more about events in our beautiful area during your stay.